Sam Harris on free will. Sam Harris claims that free will is an illusion. What we ordinarily believe in this neighborhood, he says, is completely mistaken: "You will do whatever it is you do, and it is meaningless to assert that you could have done otherwise"; "we know that determinism, in every sense relevant to human behavior, is true." Doesn't that imply that we human beings are not responsible for what we do? Harris is willing to bite the bullet: "we can no longer locate a plausible hook upon which to hang our conventional notions of personal responsibility." Indeed, he thinks that the illusion of free will is itself an illusion: what he means by this is that when we introspect very carefully we find that we don't really believe what we think we believe about free will. The first thing to see is that there is a serious problem, in this book, about precisely what free will is supposed to be. As we usually think of it, free will has to do with actions and decisions; it is actions and decisions that are free or unfree. You have free will on a given occasion just if you could have done otherwise—i.e., just if it was within your power, on that occasion, to act differently from the way in which you did act then. And the fact is we instinctively believe that, on many occasions, we could indeed have done otherwise; we go on to think that on these occasions, we are accordingly responsible for what we did. Suppose I shade the truth or tell a lie in a misguided effort to make myself look good; our conviction, ordinarily, is that I could have refrained from telling that lie, am responsible for telling it, and am guilty for lying. We believe that on that very occasion it was within my power to refrain from lying, even though I did lie; and I am responsible for that lie just because it was within my power then not to lie. I make my modest contribution to my church; we think that it was within my power to refrain from doing so, so that my contribution is a free action. I freely decide whether to wear a blue shirt or a brown shirt; it was within my power to decide either way. Now as far as I can tell, Harris does indeed mean to argue that we do not have free will in that sense, and I'll examine his arguments below. But his main target, at least the one on which he expends the most energy, seems to be something quite different. It's free will thought of in a wholly different way that he chiefly attacks. 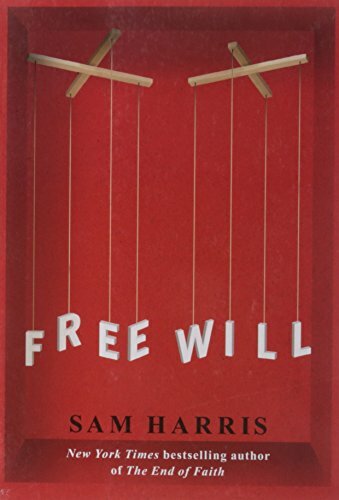 How does Harris think of free will? "Consider what it would take to actually have free will. You would need to be aware of all the factors that determine your thoughts and action, and you would need to have complete control over those factors." His thought seems to be that first, there are some factors that determine my thought and action—i.e., factors that make it the case that I can never think or do anything other than what I do think or do; among these factors would be my desires, my character, various neurological factors, and so on. And second, I would have free will only if I had complete control over those factors—only if I freely chose them. I have free will only if I choose the sorts of desires and affections that I actually have; I am free only if I choose to have the character I do have, and indeed freely bring it about that I have that character. Suppose I have this strong desire to be approved of by others, and suppose I act in a way I think will promote others' having a good opinion of me. According to Harris, I am free in so acting only if I myself chose to have that desire and I myself brought it about that I do have that desire. If instead I just find myself with that desire (have not chosen to have it), then no action I take because of that desire is a free action. I want my church and indeed God's kingdom to prosper: when I act out of that desire—e. g., by financial contribution—I act freely, says Harris, only if I myself chose to have that desire, and brought it about that I do have it. He quite rightly says, "I cannot take credit for the fact that I do not have the soul of a psychopath," but from that he infers that he is not free. Now this is vastly stronger than freedom as we ordinarily think of it. Harris notes that freedom is deeply involved in our notions of responsibility, guilt, and punishment. But freedom in his maximally strong sense is not required for responsibility or guilt or punishment. Suppose I know what is right on a given occasion, have the power to do the right thing but also the power to do something wrong, and in fact do something wrong. I quite consciously shade the truth, knowing perfectly well that doing so is wrong, and even though it is entirely within my power to tell the sober truth. Then I am responsible for being less than honest, and guilty for so doing. Nor is it required, for freedom, that I myself chose the desire to be thought highly of, or that I myself brought it about that I know that so doing is wrong. I found myself intrigued by this article and wrote for myself a long essay on the subject, looking at the scientific deterministic approach that in its logical ad infinitum takes every move thought and other mass/energy/dimension movement an inevitable accident of the yet unexplained asymmetry of the big bang. At some point in there the concept of free will can fit in that determinism, or it can be part of the scientific proof of divinity. It is the stuff of a vibrant, prayerful discussion over a cup of coffee at the Grill.